A combination of flat and gable roof is a popular patio design with an attractive pitch and a sense of open space. This great outdoor patio is the perfect complement to your garden design as it maximises your total outdoor living space. The combination roof is a stylish patio design with uncluttered lines that are smooth and visually attractive. Factory Direct WA patios create the perfect outdoor entertaining area or can provide shelter for the car, boat, caravan or motorhome. Made to suit the Australian weather and outdoor lifestyle Factory Direct patios are built to last. With a range of styles and sizes you can create a patio that blends seamlessly into your existing home and garden design. Visit one of our showrooms and let Factory Direct help you to create the perfect outdoor living space to suit your style and budget. 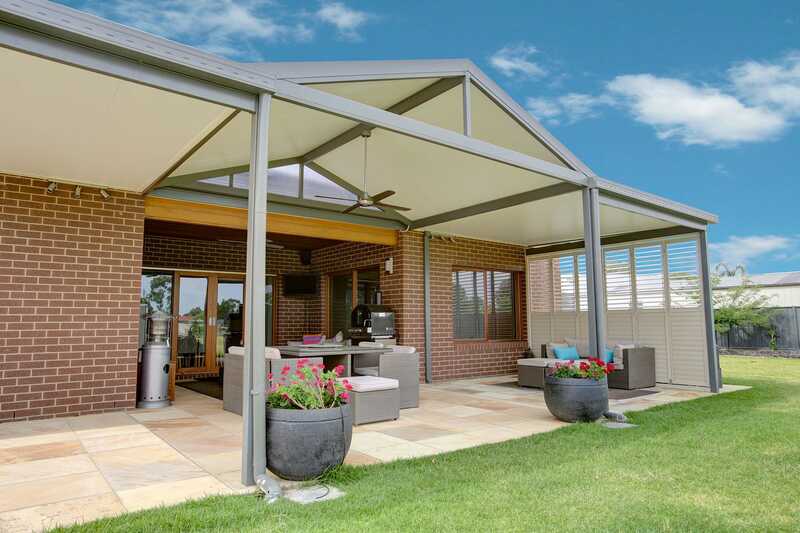 Factory Direct is one of Perth’s leading outdoor patio designers, builders and installers offering superior patio products built to endure the harsh Australian climate.